STUDIES from overseas have shown increased mortality rates for patients admitted to intensive care units after hours. In most studies, this effect disappears when severity of illness is considered. However, Bhonagiri and colleagues’ study of outcomes in Australian ICUs in the latest issue of the MJA confirms the increased mortality rates even after controlling for illness severity, suggesting that another explanation is needed. The study’s other significant finding is that most of the increased mortality in patients admitted after hours to an ICU is accounted for by elective surgical patients. To extend the much-used aviation metaphor — airline passengers would not tolerate a higher crash rate after hours. We assume that management of an ICU, like that of an airline, incorporates enough failsafe features that, whatever the time of day, patients have the best possible chance of a safe journey. In reality, even in the most well staffed ICU, the number and seniority of staff available in the unit declines after hours. In most ICUs, a high-level multi-consultant morning round is followed by afternoon and evening reviews conducted by smaller groups with lower overall seniority. At night, with the consultant on call at home, a senior registrar or fellow is generally in the hospital — as the pilot sleeps, the co-pilot takes the controls. Intensive care beds are prized and fought over, and Australian intensivists stand in the middle of difficult resource decisions every day. Some of the “same-day cancellations” of elective surgery that are currently the source of media commentary in New South Wales probably occur because ICUs are already full, and more beds simply cannot be made available for patients scheduled to undergo major elective procedures. As many anaesthetists are only too aware, the late admission of elective surgical patients to ICUs may not be due to complications or poor planning, but rather to delay at the start of the operating day while waiting for an intensive care bed to be declared available before commencing surgery. The findings of Bhonagiri et al’s study suggest two possible actions: avoid starting major elective surgery at times that make it likely that the patient will be admitted to the ICU after hours; or reconsider staffing practices in ICUs to ensure a more senior presence after hours. Both will be contentious, and more local prospective research is clearly needed to inform such decisions. If we don’t resolve this inconsistency in ICU survival, patients will continue to be disadvantaged, and there may well be repercussions for operating theatre use, leading to further delays and inefficiencies. 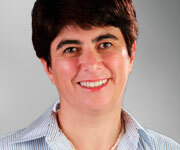 Dr Annette Katelaris is the editor of the Medical Journal of Australia. What is so contentious about the possible solutions? Either do not start major elective surgery late in the day OR staff the ICU with senior clinicians after-hours; OTHERWISE PATIENTS DIE – we are in the business of preventing that. The alternative is to provide more beds and more staffing during the day, but that is unlikely to be funded. The analogy with the airline industry is “spot-on”, if every disaster in hospitals were dissected in the same minute detail as an aeronautical disaster AND the resulting recommendations implemented and reviewed, our hospitals would be safer, better and more quality-orientated places. My brother is an aeronautical engineer who asks me about our “fail-safe procedure & protocols” in hospitals; it makes me laugh – but it’s a sad laugh. Research needs to be done on the effect of the lack of review by senior staff after-hours and on week-ends throughout the rest of the hospital system. I am certain the results would be appalling. Emergency Medicine recognised this risk many years ago, and responded by creating workable schedules for consultants to be on duty on evenings and weekends. There are pros and cons for clinicians, but there is no doubt that this is safer for patients. This study is deeply flawed on 2 fronts. The first is that the APACHE scoring system severely underestimates the severity of illness in elective surgical patients which can take more than the 24 hour snapshot of data to emerge – i.e. inflammation/ischaemia and repurfusion injury take more than 24 hours to manifest organ injury. The second issue is addressed in 2 sections – why do surgeons schedule their sickest patients for the end of the list? The other side of the coin is that the case that was supposed to be finished by ~ 4pm and doesn’t get out by 10pm suggests something very wrong has happened (I am an intensivist and i would come in and look over this patient as a routine).